0 iSUP.be De Belgische Stand Up Paddle site ! SUP nieuws en community. - Introducing F-One SUP Foil – the Foiling revolution is marching on ! 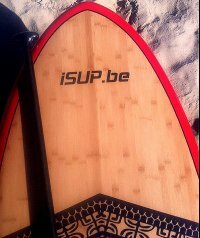 iSUP.be De Belgische Stand Up Paddle site ! SUP nieuws en community. - Introducing F-One SUP Foil – the Foiling revolution is marching on ! U bevindt zich hier: HomeNieuwsNewsIntroducing F-One SUP Foil – the Foiling revolution is marching on ! F-One heeft voor 2017 een complete reeks SUPfoil boards and foils klaar, hun ruime ervaring in KITEfoils was de ideale basis specifieke SUP foils te ontwikkelen. Er komt een Wave, Allround en RAce board uit die uitgerust kunnne worden met een 75cm mast en een eigen specifieke vleugel varieerend tussen 1000 en 9000. The FOILING Revolution is marchng on ! F-One is starting the summer season with a big bang, introducing a full SUP (and WIND) FOIL collection to complement our KITE FOIL Collection ! FOILING is evolving, showing its multiple facets and has become a fully separate discipline in which we are fully invested, whether you are a kiteboarder (KiteFoil), a paddleboarder (SupFoil) or a windsurfer (WindFoil). Raphael SALLES (F-One CEO) gives us an insight into the history of FOIL within the brand. All the answers to your questions and technical information of this all new SUP FOIL are here for you ! “We have all seen the pictures of Laird Hamilton foiling on a tow-in with snowboard boots a long time ago; and more recently the SupFoil videos of Bruno André surfing waves. One could wonder why these new sports sometimes take so much time to get off the ground? But there is a difference between a professional surfer using high tech gear and the general public practice. On another side, we have seen several main cycles which can be classified in three main categories: Windsurf, Kitesurf and Stand Up Paddle. It seems that these cycles feed on one another and can only hatch when some of the leaders switch from one cycle to the next one. Clearly, the pro-riders and we, the brands, can only develop one sport at a time. For a few years now, riding and sailing on foils has literally taken off in water sports, and foiling over the water has become a sport of its own and I think that a “fourth cycle” is taking shape and taking off now. Foiling is exceptional due to the sensations and performances it offers, but also due to another reason that we couldn’t yet picture not so long ago: foiling is possible in all three sports: Kitesurf, SUP and Windsurf. For the first time, the riders of three different water sports can share the same feelings and the same language! Even more surprising, they can also share the same foils or boards. SupFoiling has two different aspects: surfing and downwind racing. To be honest, I couldn’t see at first the bonus of using a foil when the waves are rolling. But it’s always better to try for yourself and make your own conclusions. On my first session, the feelings were amazing right away. Bear in mind that I foil very regularly with a kite and I have also foiled being towed behind a boat, but the feeling on the wave was different. To get an idea of these sensations, I think it’s close to what surfing or kiting can be in the waves. No kite, no traction to deal with, everything becomes so pure. But there is also a new dimension into this: it’s the energy of the waves below the surface. When surfing on a foil, it becomes possible to grasp and play with this new kind of energy with the slope of the wave. Forgetting the old reflex and focusing on this new information can be puzzling. Now, once this new feeling has been experienced comes another question: where can or should we go SupFoiling? Choppy waves, even exposed to the wind can be ridden with a SupFoil, meaning that poor and unexploited surf conditions become accessible. This is the second strong benefit, which has convinced me that this could become a new surfing sport. We all know that on our planet there is a lot more of poor and average wave conditions than good ones. This is also a unique opportunity to surf the outside reefs which are usually deserted.